The world is your racetrack! Choose among 28 dream cars and motorcycles from prestigious manufacturers. 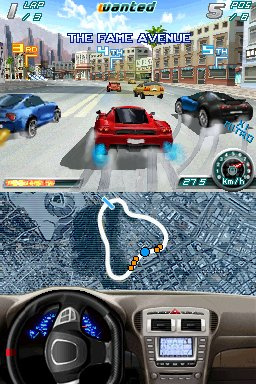 Race your way through 8 of the most renowned cities in 3D, using either standard or Touch Screen controls. 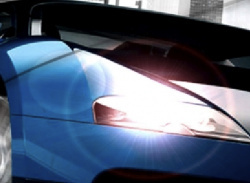 Customize and tune your vehicles in the garage, then take photos to create a custom icon. 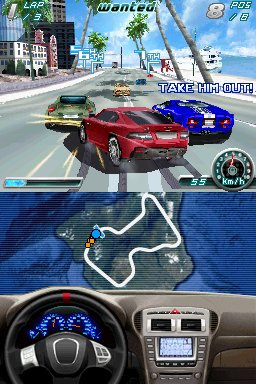 From Paris to Dubai, race through busy streets in 6 modes plus 4-way Multiplayer. 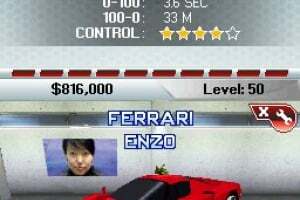 Avoid police, demolish competitors and pass the leader to win and become an urban racing VIP! Looks pretty cool, hope it comes out good! This will surelly be a premium title, looks really cool. Gameloft is really providing. I'll get this for sure. 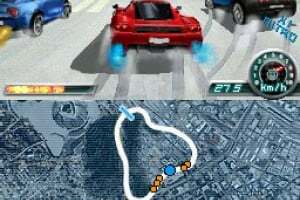 iPhone game got very decent revws. Hopefully the DSi game is at least as good. Insta-download for me even though I'm not into "serious" racers. Man, with Mighty Flip Champs, MvDK, and this, I'm really wanting a DSi. The DSi is really better than the regular DS now for most of the players! It was the best for everyone beffore the major software releases, but now... it is... awesome! I mean come on', all DSi Ware Games easily crush the GBA compatibility! 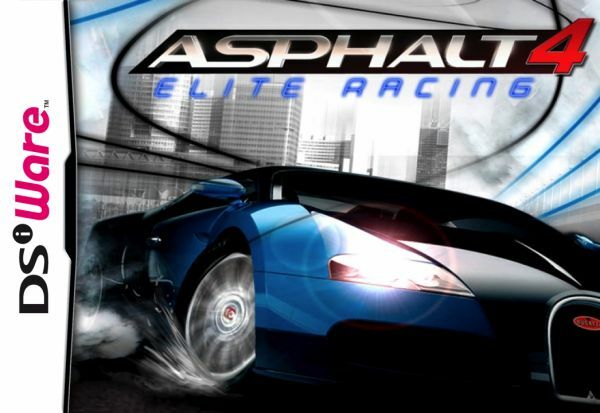 On DSi Ware now we have: Asphalt 4: Elite Racing, Mighty Flip Champs, Mario vs. Donkey Kong, Real Football 2009, every art - style games, a few minigames like Pyoro and PaperPlane along with the Master of illusion titles, POP Star Superstar Road to Celebrity... I mean come on', who can denie' that??? 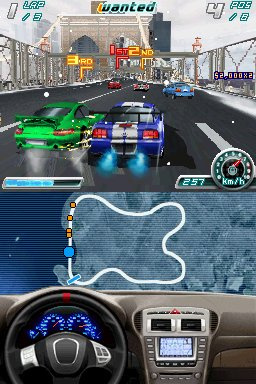 The DSi Version is better than the iPhone one, because you can use the directional buttons for steering and any other buttons for accelaration or breaking. OMG this game (downloaded it today) is better than asphalt 1 and 2!!!! its way worth 8 pounds!!!! 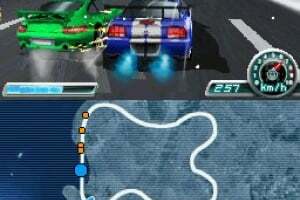 and reply to gogata the graphics are better than asphalt 1 and 2 which is good. i rlly like the drifting!! I can't wait til' this is released in the US! This will be an instant download for me! Oh yes, it is definitely worth it. It is very slick, there's lots of choice of cars (and bikes) to race and they are all fully customisable. What else, it's multiplayer - I'm looking forward to finding a friend with a DSi. 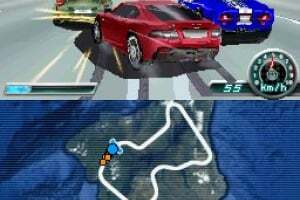 Its a bit more grown-up than Mario Kart, and more like playing Need4Speed/GTA. What more can I say other than "Get it now" (you know you want to). It's an essential DSiware downloadable in my opinion! Trust me, if you like racing sims then you won't put it down. I bought the original asphault for ds and loved it... 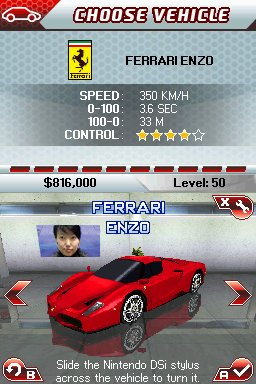 I just bought this, while it's 3 times cheaper, it seems to use the same or similar engine and with all the shouting and crazy drifting seems like a ridge racer ripoff. Also seems like theres a massive boomerang effect. BARELY got third and i was going full boost speed the entire last lap. I'll give it some time though I'm sure it'll be worth the 8.60ish dollars. Not as good at the retail DS Asphalt games. For $8 it's not bad though.